I can tell Dave has put a lot of time and thought in this evaluation of the IC-7300–it’s a worthy read, especially if you’re considering an IC-7300 yourself. Overall, Dave’s impressions of the ‘7300 are similar to mine (click here to read my ‘7300 review). The IC-7300 is a great rig and (though there are a few minor tweaks needed) the general coverage receiver is sensitive and selective enough to satisfy even the seasoned SWL DXer. Dave even pits the ‘7300 against the WJ-8711A commercial receiver. Note Mike commented in a previous post that the IC-7300 had difficulty coping with the RF-dense environment of Field Day, but in truth, that is one of the most difficult environments for any ham radio transceiver. 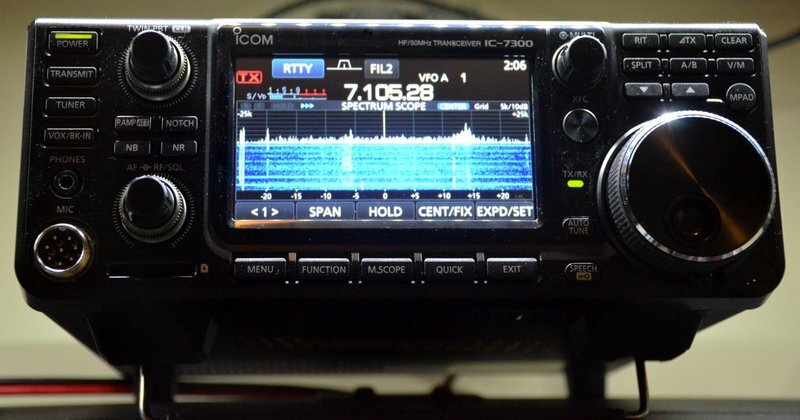 If you own an IC-7300 and have any comments or impressions, please share them with us! This entry was posted in Ham Radio, News, Reviews, Shortwave Radio and tagged Dave Zantow (N9EWO), IC-7300, Icom IC-7300, Icom IC-7300 review, N9EWO on July 5, 2016 by Thomas.